Fans and listeners of The Head and The Heart from across Indiana will descend upon Indianapolis in September for an unforgettable Friday night of live music and entertainment! Murat Theatre will be hosting one of the supreme live music acts in 2019. The Head and The Heart will be coming to Murat Theatre on Friday 6th September 2019. Have you been kept wide awake eager in anticipation for this excellent live concert? You've probably seen on social media the flood of people exclaiming they've got their The Head and The Heart tickets! Don't miss out on your chance! What a great way to spend a Friday. Tickets still available. 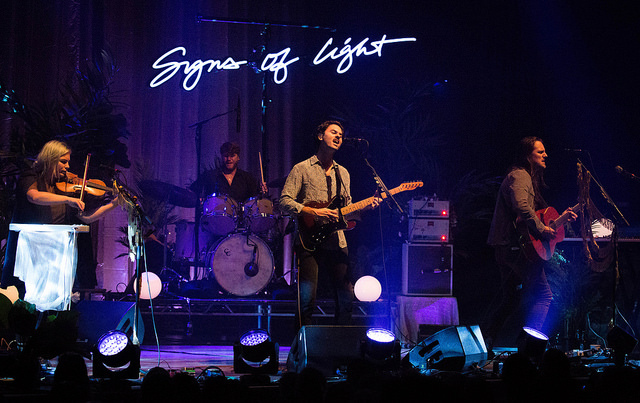 Previous events of The Head and The Heart in 2019 have proved to be a great success. Show off your greatest artist t-shirt, memorize all the lyrics so when The Head and The Heart holds that microphone you can sing along too. There is plenty of on going entertainment nearby as Indianapolis is known for having fantastic nightlife, so the night doesn't have to stop here. Parking is easy, although we advise leaving a plenty time either side of the event to allow for the parking drama. Feel free to take any photos you wish providing you use a no-flash camera, but remember to be in and bask in the moment as well! All of Indiana knows you will have excellent time.